Let’s talk about stones. No, not the Rolling Stones…the pesky kinds that sometimes plague the gallbladder and kidney. Few people really think much about gallstones and kidney stones. That is, until they experience one or the other. They’re two totally different issues — but both can cause extreme pain and discomfort. Would you recognize the symptoms if you were experiencing them? Let’s take a deeper dive into both types of stones. The kidneys serve as your body’s filtration system. Each of the kidneys is composed of a bunch of units called nephrons, which perform a two-step process. 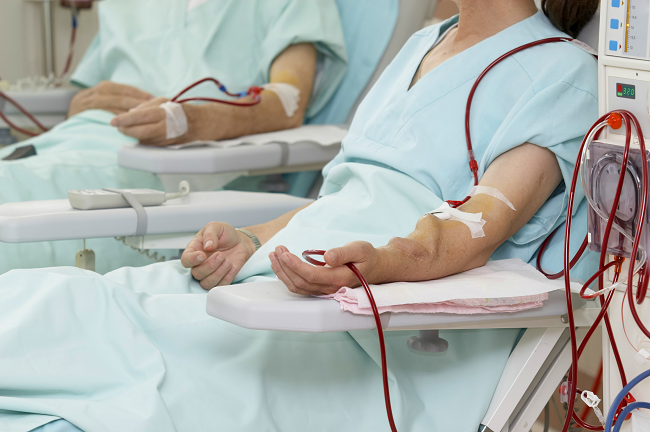 First, they filter your blood, and then necessary substances are returned to the blood while waste and extra fluids are removed. Each minute, healthy kidneys filter about a half cup of blood, so keeping them running at optimal function is important to the body. As they filter, the kidneys also help ensure there’s a good balance of water, salt and minerals in the blood. Now that you know the importance of properly functioning kidneys, let’s talk through kidney stones and how they impact the body. Kidney stones are hard deposits made up of minerals and salts, which may form for a variety of reasons. While their name indicates they’re specific to the kidneys, these stones can actually impact any part of your urinary tract, from the kidneys to the bladder. Stones in the urinary tract often develop when the urine becomes too concentrated, which allows minerals to form into crystals and stick together. Pain and discomfort are the most obvious symptoms of kidney stones, but it’s a particular type of pain that’s usually accompanied by other symptoms. When experiencing a kidney stone, your pain may shift and worsen as the kidney stone moves through the body. You know the gallbladder can be removed. So, what exactly is the gallbladder — and how can it be removed and the body continue functioning properly? The gallbladder is a small organ located just below your liver on the right side of the body. This organ holds a fluid called “bile,” which is formed in the liver and helps the body digest fats and some vitamins. When you eat, your body signals the gallbladder to release bile to your small intestine to help you digest the food. But while the gallbladder plays this key role in digestion, the body can function without one. If the gallbladder is removed, bile is stored in the bile ducts, which are the pathways bile travels from the liver to the small intestine. Stones in the gallbladder, which are called gallstones, are one of the most common problems affecting the gallbladder. These stones are hardened deposits of digestive fluids, and they can range in size from tiny to as large as a golf ball. If gallstones cause symptoms, gallbladder removal surgery is typically recommended. 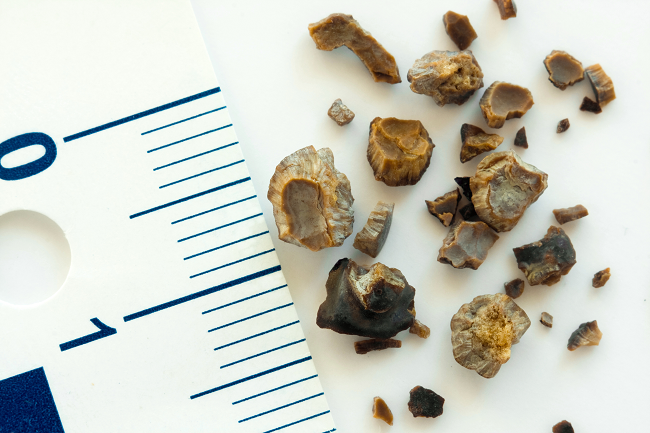 There are a couple different types of gallstones — cholesterol and pigment. Cholesterol gallstones contain undissolved cholesterol, while pigment gallstones are darker and occur when bile contains excess bilirubin. See a doctor if you’re experiencing pain so intense you can’t get comfortable, or if you notice any yellowing of the skin or a fever with chills. If you are experiencing any of the above symptoms, talk with your doctor. If you think you may be experiencing kidney stones — or need a second opinion — book an appointment with Erlanger Urology today.